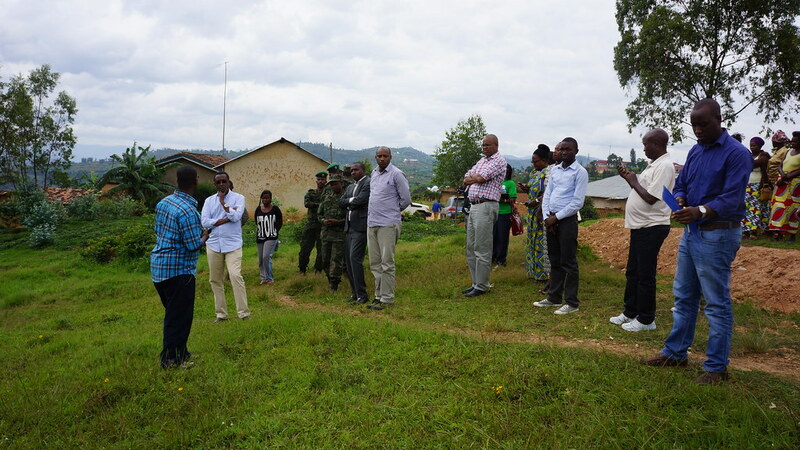 The Karongi Integrated Green Village Project aims to reduce vulnerability to environmental challenges, build resilience to environment and climate related pressures to improve livelihoods of 854 vulnerable households in Gahabwa and Nyamuhebe villages. These households are exposed to climate related pressures such as unsustainable land, water and soil management practices, flooding and landslides. Intense rainfall has led to loss of lives and property. In addition, it led to soil erosion since the land is bare due to deforestation. The overall objective of the project is to reduce the vulnerability of communities that are more exposed to environmental pressures and to build their resilience against these challenges. It also aims to improve their livelihoods by providing them with alternative income generating activities. This will be accomplished through interventions that promote integrated environment approaches such as rainwater harvesting and biogas. Output 1: Protected land against erosion in Gahabwa (20 ha) and Nyamuhebe Villages (50 ha).